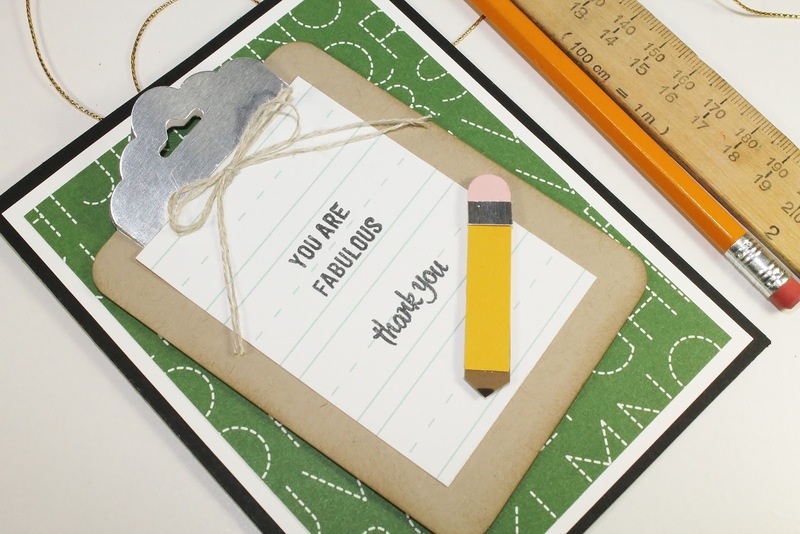 It's almost the end of the school year once again, and time for those teacher thank yous! As a former teacher, I can categorically state that teachers do NOT need any more coffee mugs, but the sentiment behind those many and varied mugs is what really counts, and it feels really uplifting after a long and tiring year to have your efforts appreciated by your students and their families. The gifts I loved best came with something hand made by my student, and a note from the family, letting me know the difference I had made for their child. 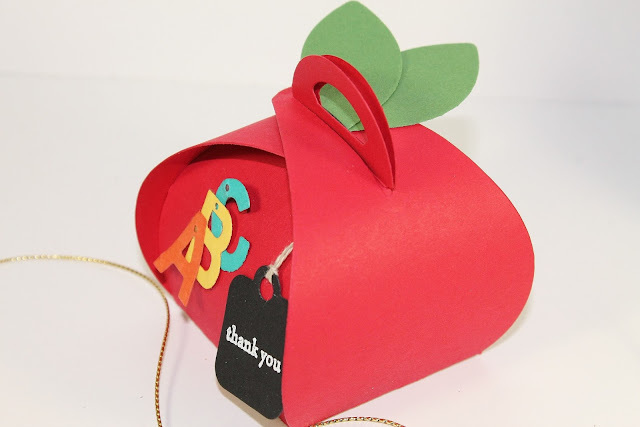 What better time to come up with a handcrafted card and treat box for your favourite teacher? It's been quite a while since I last played with the Curvy Keepsake Box Thinlits, so it was good to get them out again. I don't know if you got the resemblance, but the little treat box is supposed to be an apple. See the leaves on top? And the chalkboard-like tag and the ABCs are to represent teachers. I actually found something similar on Pinterest created by Darla Watson. I simplified mine a bit as I am planning on using this design with a group of kids at a Mom & Me class coming up soon. This will be quick and easy to do (if I die cut the letters ahead of time)! The little tag is one of the Curvy Keepsake Box Thinlits and the letters, of course, are from the Little Letters Thinlits which are retiring and tomorrow will be your last day to purchase them. I think I might be keeping mine, because they are really useful for smaller projects that need letters or words. If you are a scrapbooker, they are perfect for making titles. The leaves are punched using the Festive Flower Builder Punch. Then, I saw on Pinterest again, a wonderful card idea, by Erica Cerwin, of Pink Buckaroo Designs. 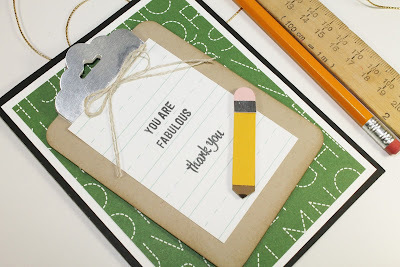 I loved the idea of a mini-clipboard on a teacher's card, so I CASed it, changing up some details to make it my own, for the same Mom & Me class. I thought Erica was so clever to make the clips on the clipboard from Silver Foil sheets, punching them with the Scallop Tag Topper Punch! Brilliant, Erica! Thanks for the idea. The Designer Series Paper was just made for school and kid related projects. It's from the School House Designer Series. Both the green chalkboard letters and the interlined notebook paper are from that same series. I believe it may be sold out however. The clipboard is my favourite. I made it from a piece of 3" x 4" Crumb Cake cardstock and rounded the corners, then sponged the edges with Crumb Cake. I took a short 2" wide strip of Silver Foil Sheet and punched both ends with the Scalloped Tag Topper Punch. I used Fast Fuse to mount the lower one and added the upper clip with a Stampin' Dimensional. The pencil was diecut from Crushed Curry cardstock with the Word Window punch, also retiring and, unfortunately, sold out now. The eraser and lead of the pencil were also punched out with the Word Window Punch and trimmed down. A small strip of Silver Foil sheet was added at the bottom of the eraser. The stamp set is one from the new 2016-17 Annual Catalogue called Thoughtful Banners*. *New Products, available June 1st from the 2016-17 Annual Catalogue. 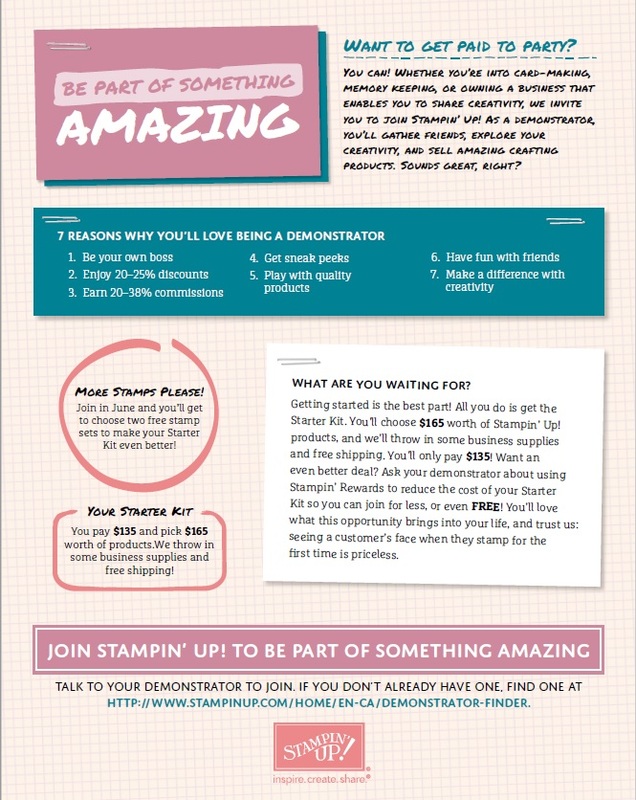 As if enhanced Hostess rewards during the month of June wasn't enough, Stampin' Up! also is offering a recruiting promotion! If you've been sitting on the fence about being a demonstrator, or if you've been a demonstrator and are thinking of coming back, this would be the time to do it. You get TWO FREE STAMP SETS* of any value with the already great deal that is the Starter Kit. If you have never even thought of being a demonstrator, this is the time to consider it! Check out the details below, and let me know if you would like to join my team! You can also click on Join My Team in the top menu and follow the cues to get your free stamp sets! And there are only two days to order from the 2016 Occasions Catalogue and the 2015-16 Annual Catalogue! 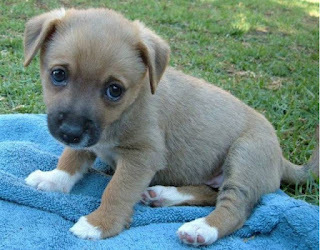 See these sad puppy dog eyes? Don't let that be your look because you forgot to order something you really wanted. There are a lot of sold out items. Check with me before you order or go to my Online Store and see what is left to order there, but get your order to me before Tuesday, May 31 at 5 pm.